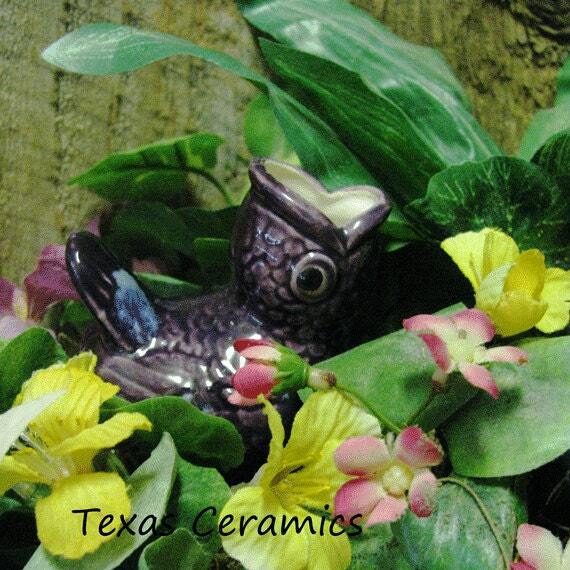 This little open mouth purple birdie is a ceramic plant tender or watering spike. 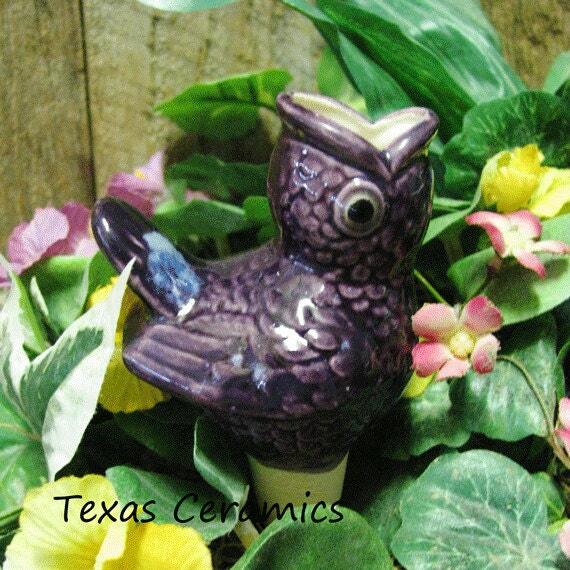 It is made of domestic ceramic slip and finished in a lead free purple glaze. Garden Plant tenders are used to maintain soil moisture of potted plants, it can be used for plants in indoors or outdoors. Plant tenders help to extend time between watering your plants. 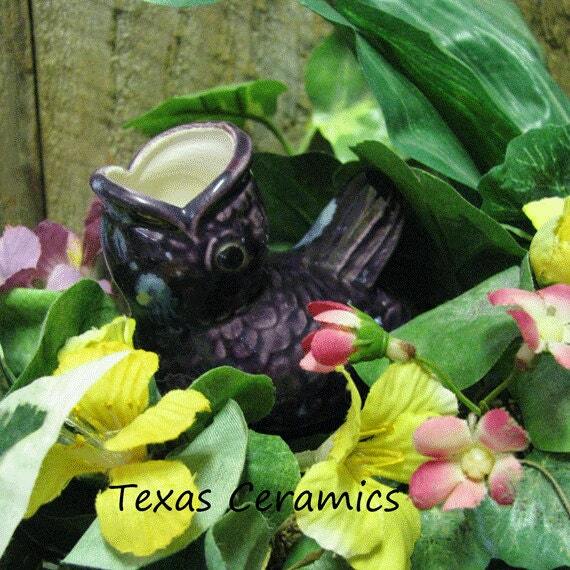 They also make vacations easy and save time by using to keep your flowers well watered during the growing season. • The opening at top is approx. 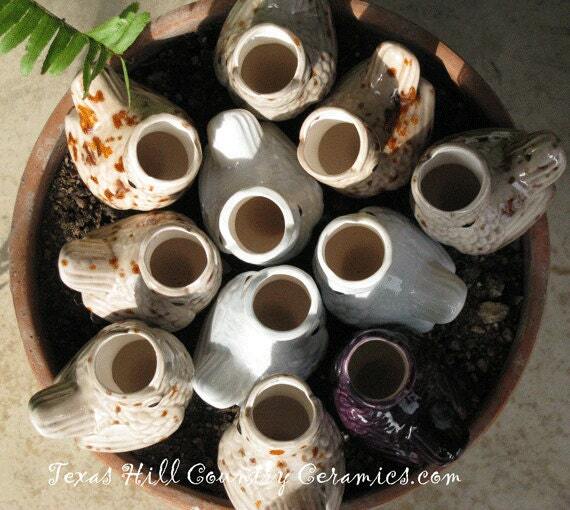 3/4 of an inch in diameter, the drainage spike that is inserted into the soil is approx. 1 1/2 inches long. all three pieces I ordered are very nice. Thank you. Awfully cute! 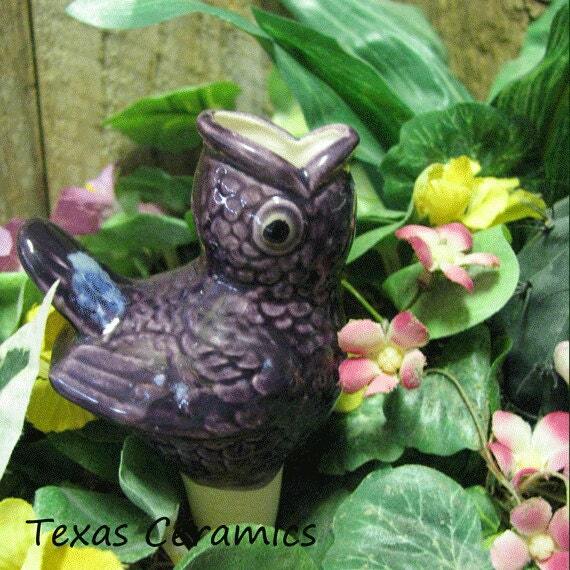 These used to be easier to find but Etsy was the only place I could locate one these days. It's keeping the herbs in my backyard planter alive in 110 degree weather! I love it! I’m constantly killing my indoor plants by accident and this is saving my bonsai! It’s great!